Punching. Shearing. Notching. Sounds like work for 3 machines, doesn’t it? But you can do it all with just one: the SW-501 hydraulic ironworker. 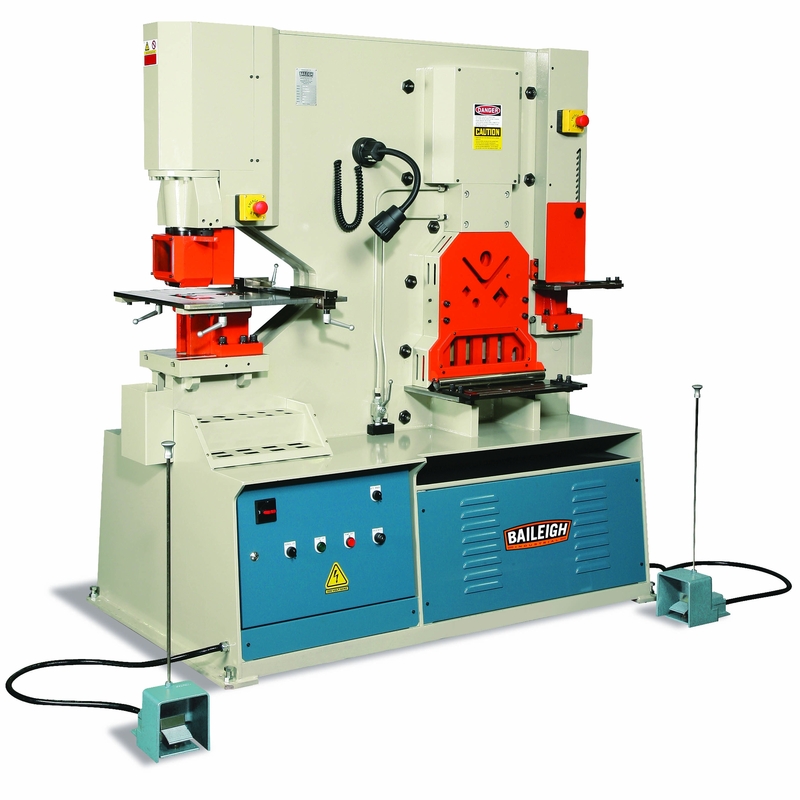 We manufactured this compact machine to multitask at your shop for decades. 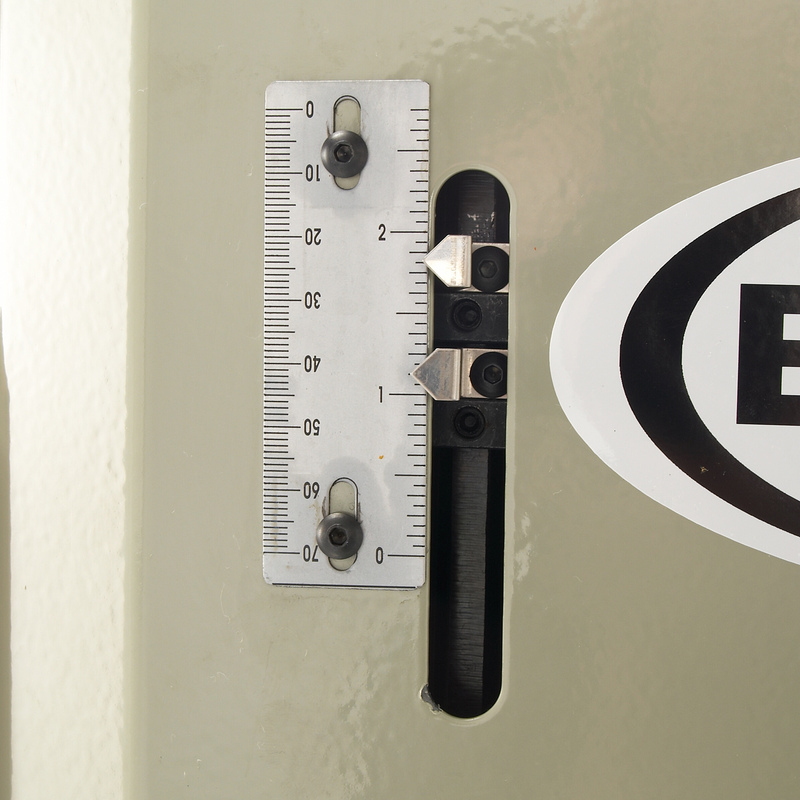 Runs on 220-volt single-phase power, so it can work at virtually any shop or job site. 50 tons of vertical pressure at each of its 5 integrated stations. 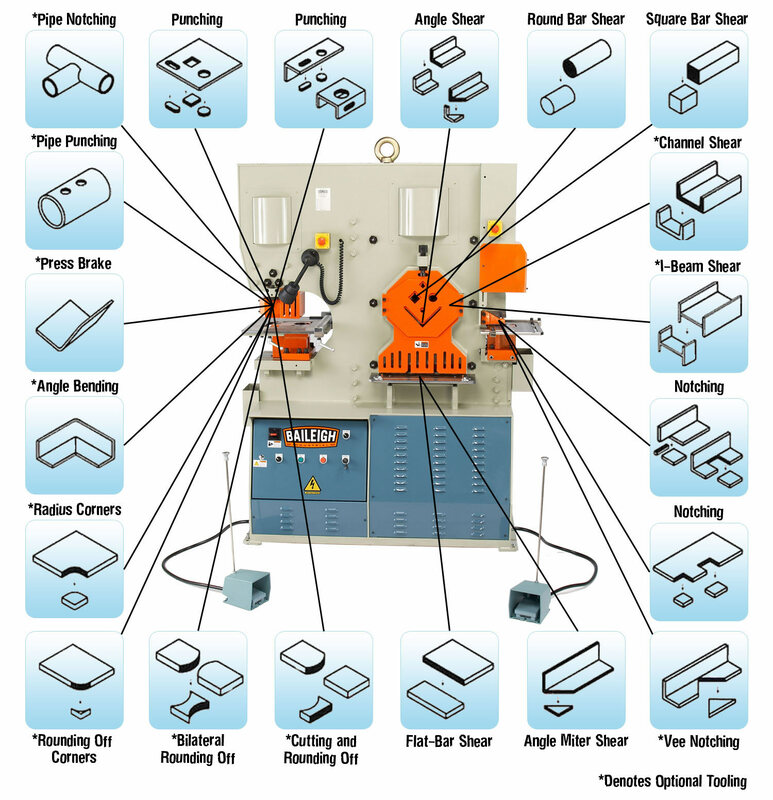 5 workstations each execute a different function: punching, flat bar shearing, angle shearing, bar shearing, and rectangle notching. 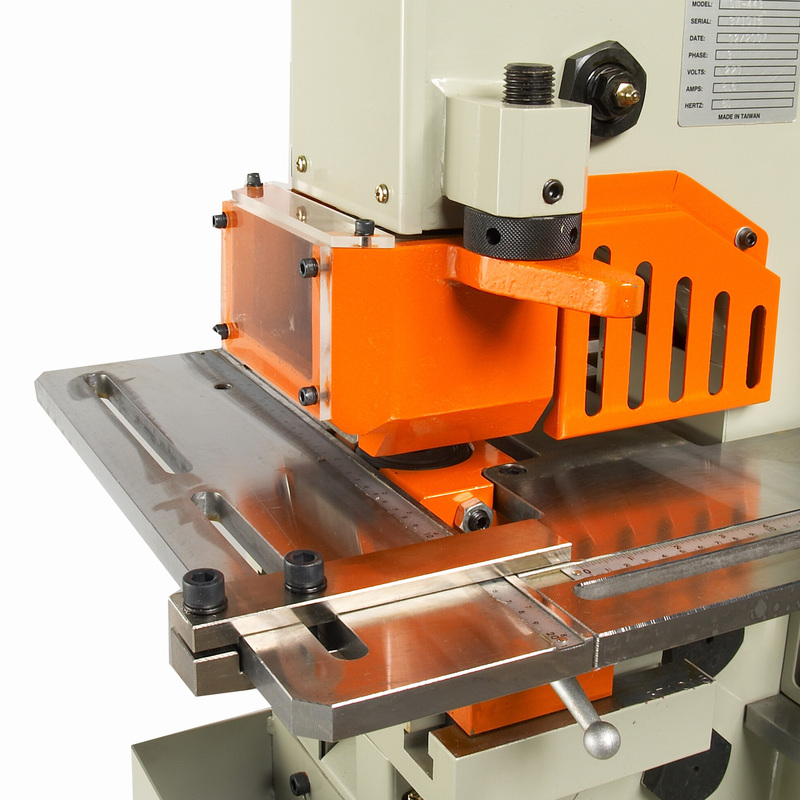 This hydraulic ironworker's movement executes clean cuts in seconds, prevents deformed edges, and reduces waste. 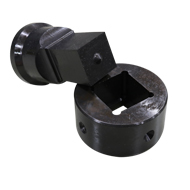 Material stops and multipositional backgauge simplify production runs. 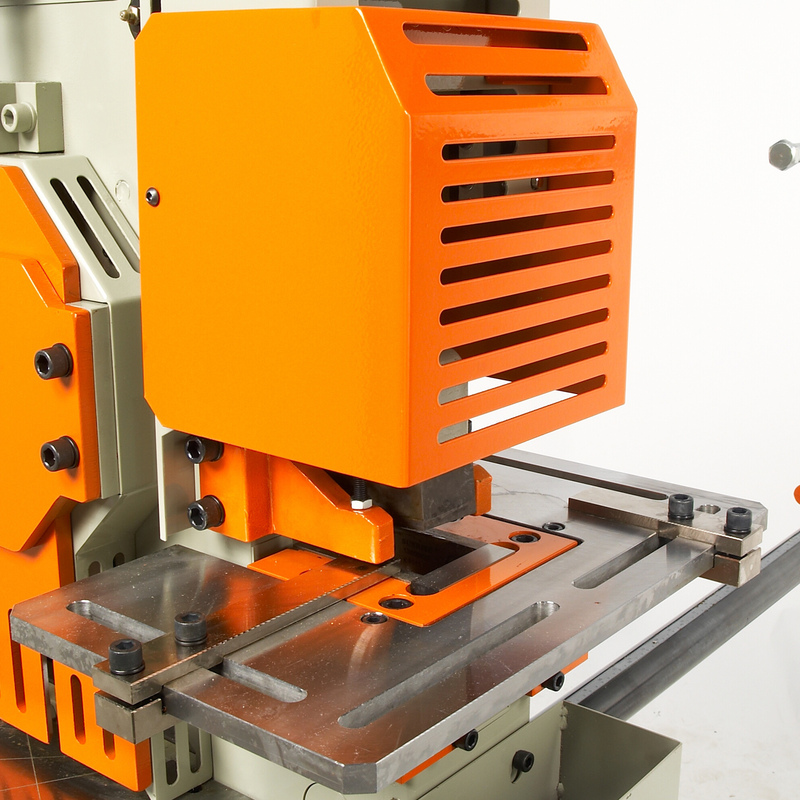 Large 2-piece tables with meter guides pull out from the machine to handle many shapes and profiles. 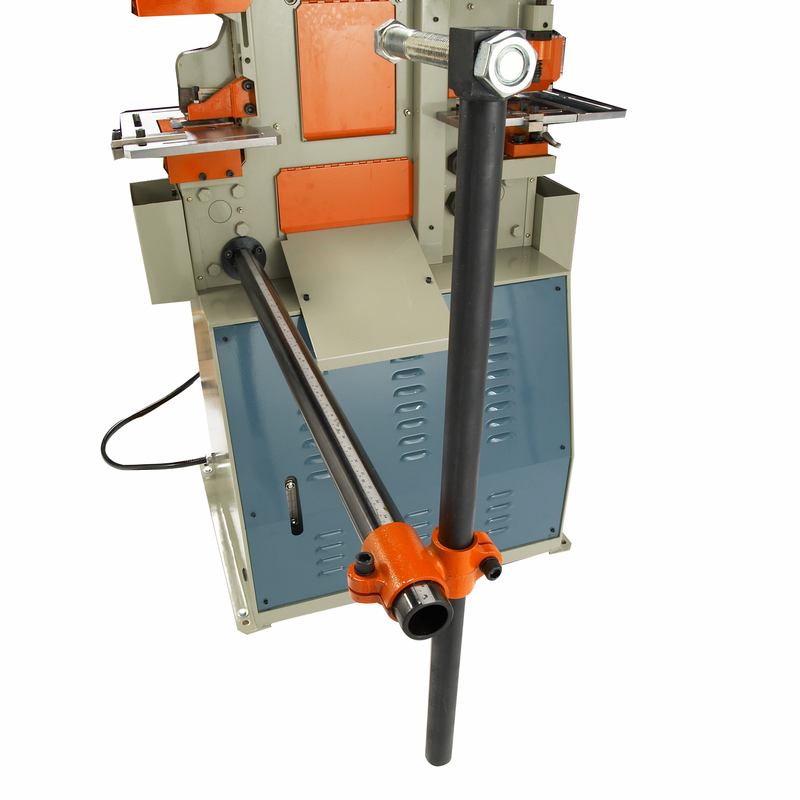 Adjustable stroke control, with downward and upward stroke knobs, can limit machine movement and reduce production costs. Jog dial lets you align tooling for safe and easy set-ups. Material hold-down with knurled handle enables you to quickly fine-tune and fit a given profile. Punching station includes a T-slot base. 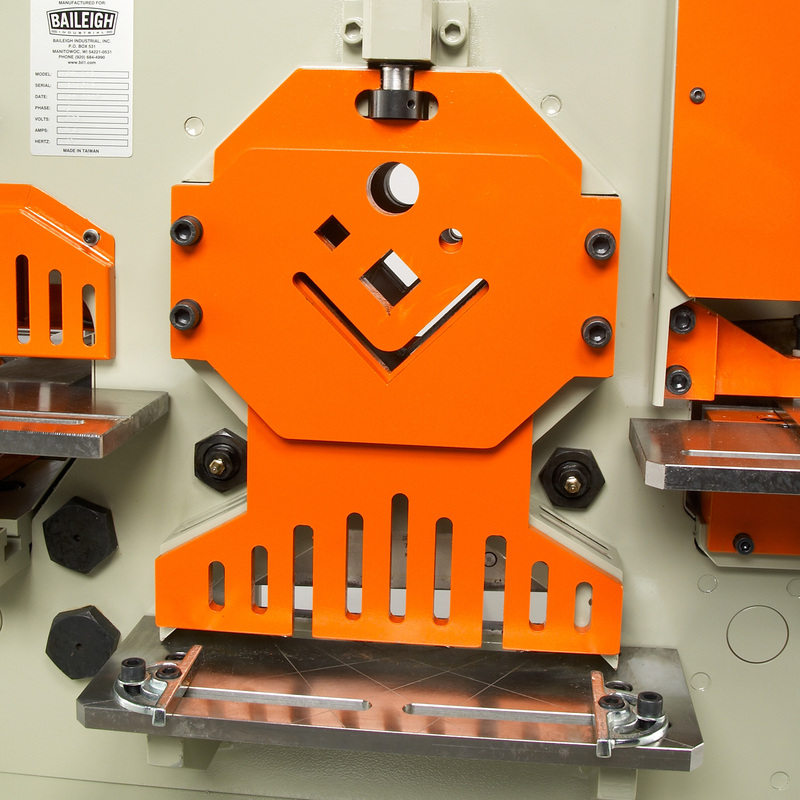 7 sets of punches and dies can tackle a wide range of projects and our patented swing-away stripper makes tooling changes more efficient. 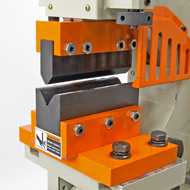 Welded steel plate framework keeps the machine rigid and minimizes flex. Baileigh backs all ironworkers with a 1-year parts warranty and lifetime technical support by phone. 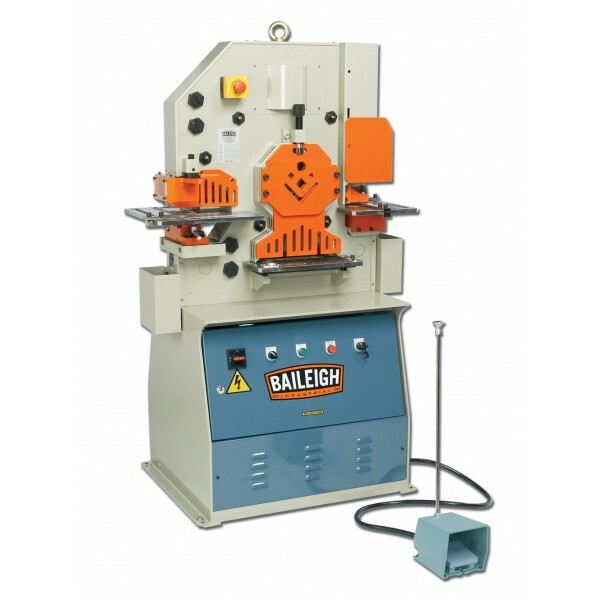 Why choose the SW-501 Baileigh Ironworker over similar machines? Pure vertical movement eliminates deformation and delivers precise results you can count on. You won’t get cleaner, faster cuts from any competing ironworkers, most of which use less efficient pivot mechanisms. Shearing design with vertical hydraulic force decreases material waste. 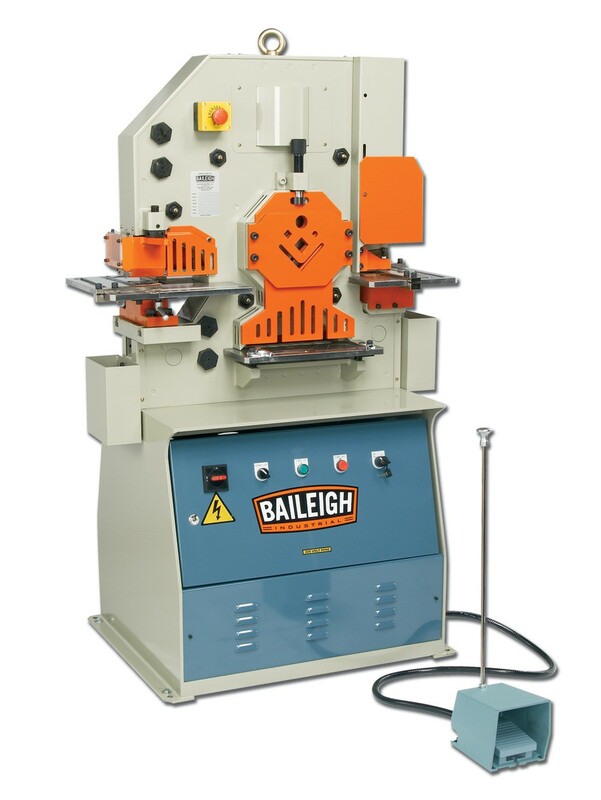 Baileigh’s ironworkers offer the fastest tooling changes in the industry, thanks to the swing-away stripper on our punch station. 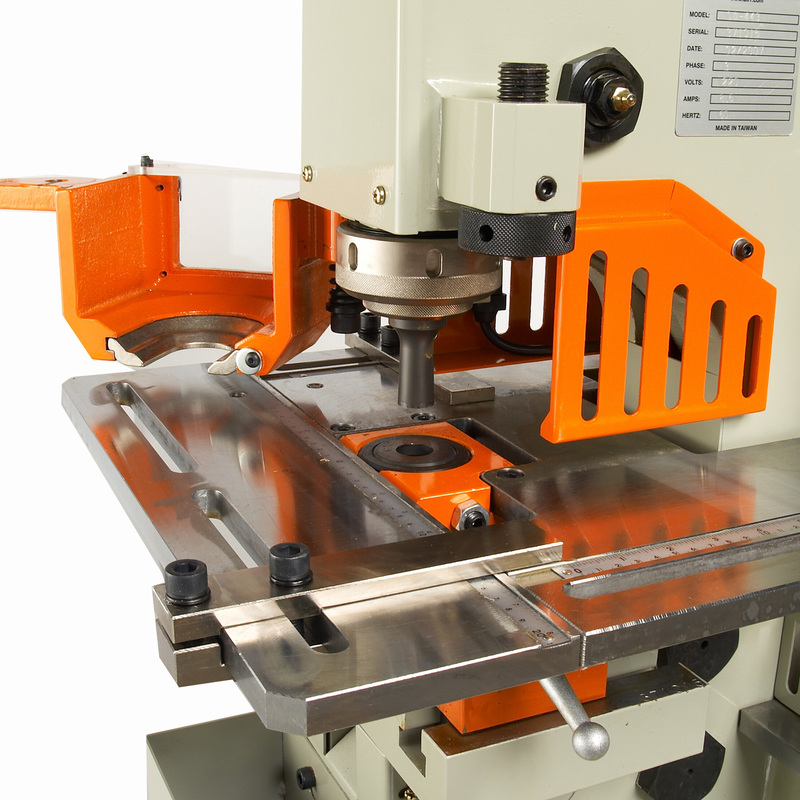 This unit comes standard with many features that other manufacturers charge extra for, like punch and die sets and large working tables. 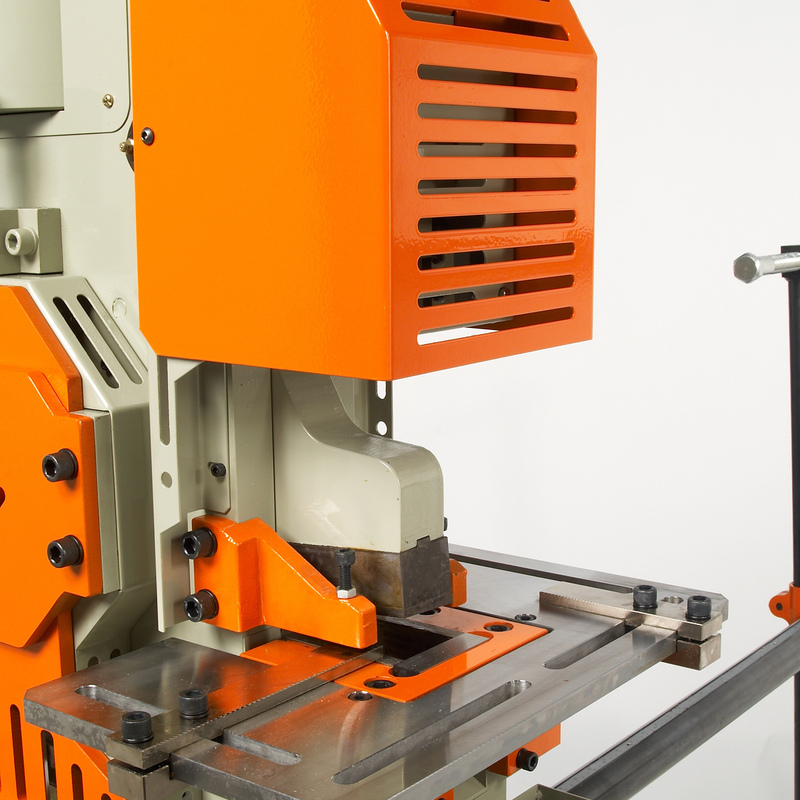 The tall, compact SW-501 saves space in your shop and operates at low noise levels, unlike some ironworker machines on the market. Unlimited customer support is always just a phone call away. 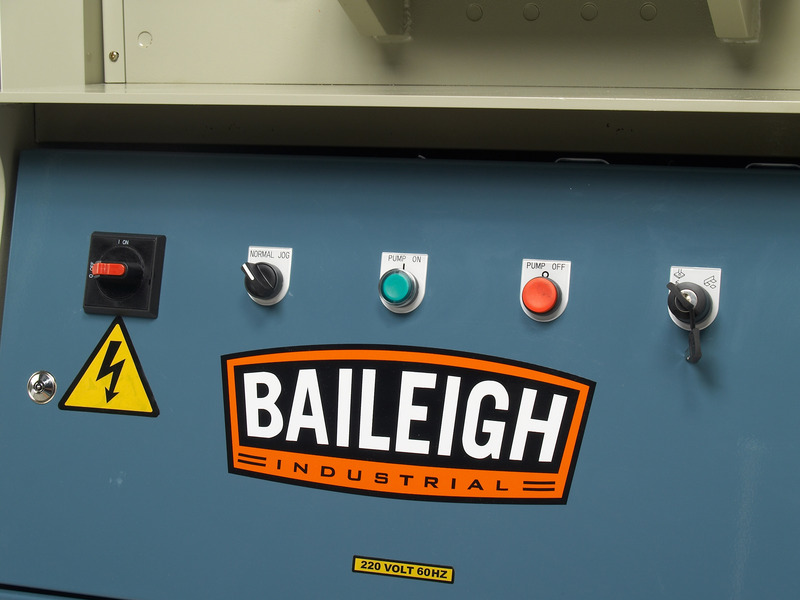 Baileigh’s team of experienced service reps will provide remote troubleshooting and application advice. Questions? Give us a call at (920) 684-4990 and talk to a Baileigh expert.